Dieses zierlich in sich gedrehte Fußkettchen wirkt sehr elegant an jedem Fußgelenk. Es besteht aus 925 Sterling Silber und wird durch einen Federring verschlossen. Material: 925 Sterling Silber. Stärke: 2 mm. 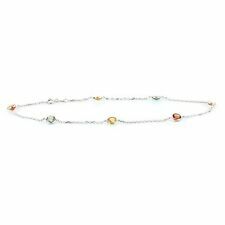 Genuine Baltic Amber Anklet Bracelet . Choose your color and Size!!! DER ZEHENRING IST ca. 5,5mm BREIT. ER IST AUS 925 STERLING SILBER. WUNDERSCHÖNER ZEHENRING MIT TOLLEM MUSTER. White & Rose Gold Charms. Fine Jewelry. Material Gold Plated Sterling Silver. Silver Bookmarks. Gold & Silver Findings. Gold Charms. Stamped 925. Variations may occur due to casting variations and the handmade nature of the goods. DER ZEHENRING IST ca. 5,3mm BREIT. WUNDERSCHÖNER ZEHENRING MIT TOLLEM MUSTER. ER IST AUS 925 STERLING SILBER. 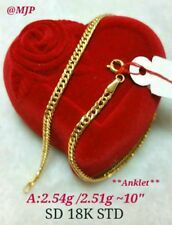 Pieces 1 Anklets Pair Color As seen in picture. Best Quality Gemstones & Diamonds Clearance Sale - Hurry Don't Miss ! ~ On for Sale ~. ~ Most Demanded ~. ~ Lowest Price Dealz ~. WUNDERSCHÖNER ZEHENRING MIT SPINNEN ALS MUSTER. WUNDERSCHÖNER ZEHENRING MIT TOLLEM MUSTER. ER IST AUS 925 STERLING SILBER. WUNDERSCHÖNER ZEHENRING MIT TOLLEM FLECHTMUSTER. DIE RINGSCHIENE IST ca. 4,5mm BREIT. WUNDERSCHÖNER ZEHENRING MIT TOLLEN MUSTER. DIE RINGSCHIENE IST ca. 5,5mm BREIT. WUNDERSCHÖNER ZEHENRING MIT PUNKTEN IN DEN FARBEN SILBER UND BLAU. DER ZEHENRING IST ca. 5,5mm BREIT. WUNDERSCHÖNER ZEHENRING MIT EINEM TOLLEN MUSTER. WUNDERSCHÖNER ZEHENRING MIT BLÜTEN IN DER FARBE SILBER. DER ZEHENRING IST ca. 5,5mm BREIT. WUNDERSCHÖNER ZEHENRING MIT ELEFANTEN IN DER FARBE SILBER UND SCHWARZ. WUNDERSCHÖNER ZEHENRING MIT TOLLEM MUSTER IN DER FARBE SILBER. DER ZEHENRING IST ca. 6mm BREIT. Rich Red Ruby Round Shape Beads Hand Made Anklet Pair. Pieces 1 Anklet Pair Color As seen in picture. 209.35 Carats Earth Mined. Best Quality Gemstones & Diamonds Clearance Sale - Hurry Don't Miss ! Fine 925 Sterling Silver Anklet with Small Angel Wing Ankle Body Jewellery. 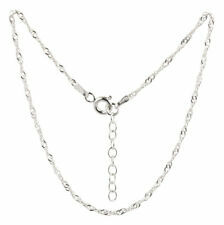 925 Sterling Silver Beaded Curb Chain Anklet with Tiny Puffed Star. Hip Flasks. 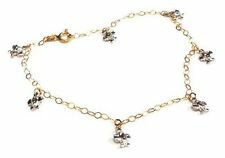 Charm Bracelets. Bead Charms. Daisy Centre Gold Dipped Sterling Silver. DER ZEHENRING IST ca. 5,5mm BREIT. WUNDERSCHÖNER ZEHENRING MIT EINEM FLECHTMUSTER. ER IST AUS 925 STERLING SILBER.